It was one simple Sunday when my whole family went to attend a Holy Eucharist. Since then, we are already in the town, we proceed to the different stores to buy the needs and stuff groceries for the month. Yes! Hubby doesn’t like to go back to the store every week, I don’t mind. It’s just that we spend more than $100 USD every time we have our grocery, so in order for us to save we have to buy bulk. Anyways, as we finished our errands, I feel that it’s already very late for a Brunch if I will make one at home. Moreover, since we are in town, might as well eat the restaurant nearby. 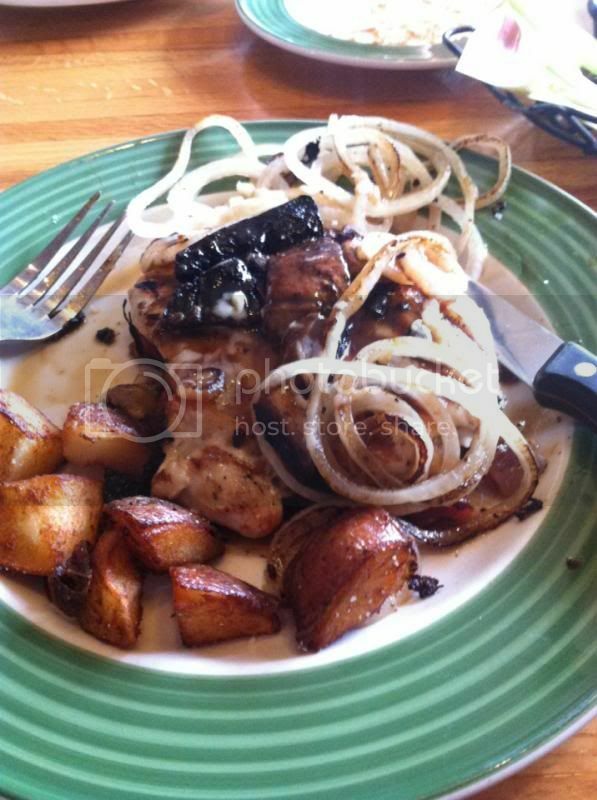 Therefore, we proceed to AppleBees and order our brunch. I feel good about the dish that I order, on the other hand hubby doesn’t because aside from the rib isn’t that warm, it’s also hard. He even mentioned not to come back at Applebees during lunchtime. Chicken with mushroom and potato.. The foods look good, but sorry to hear that your husband doesn't like it. Looks delicious to me. Perhaps your husband should try what you ordered the next time you go there. It's nice to eat out once in awhile. 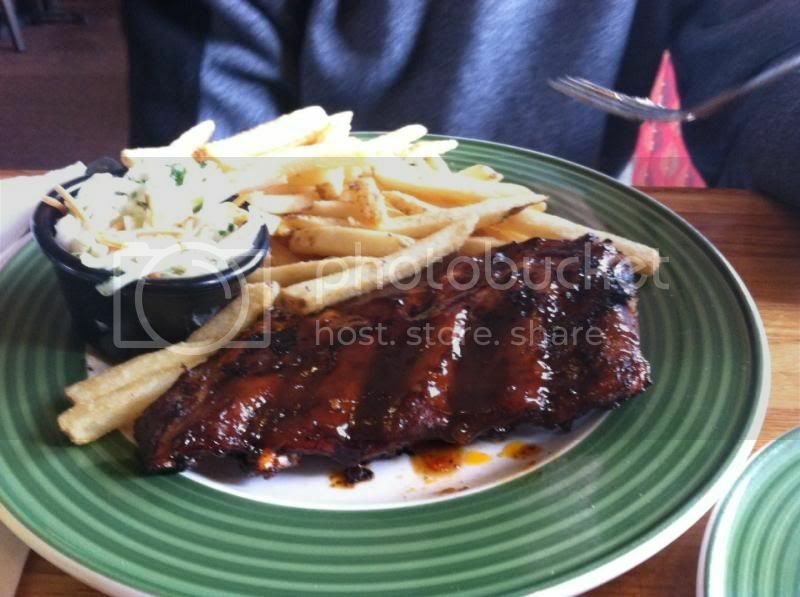 Applebees is good, it's a family friendly restaurant.